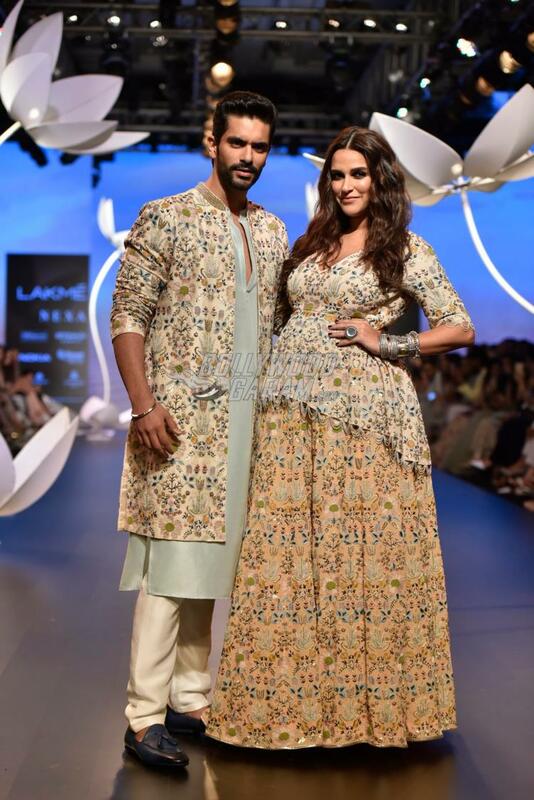 Bollywood couple Neha Dhupia and Angad Bedi announced the news of their pregnancy a few days back. 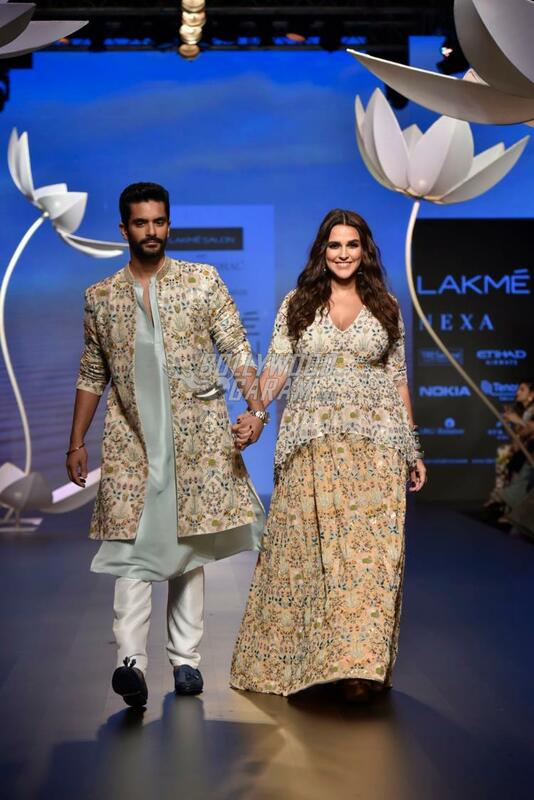 The couple walked the ramp as showstoppers for designer Payal Singhal at the Lakme Fashion Week Winter/Festive 2018 on August 25, 2018. This was the first time the couple made a public appearance after they officially announced about their pregnancy. 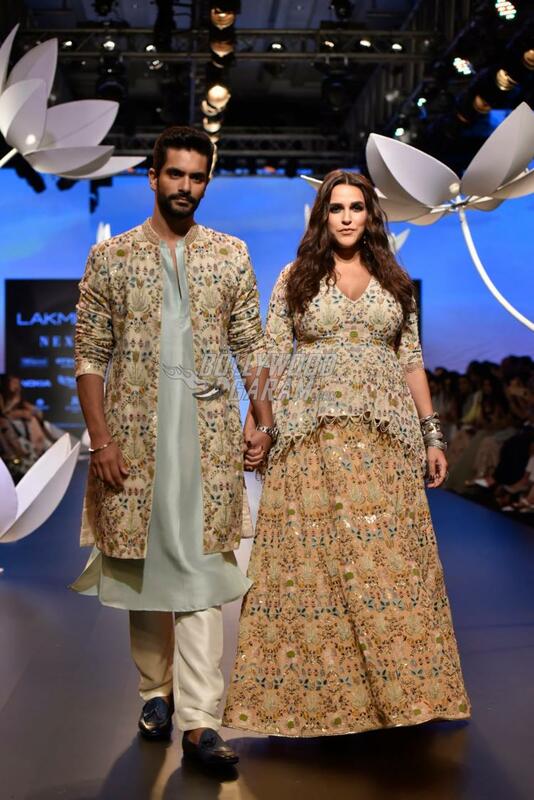 Neha showed off her baby bump in a beige peplum top with a lehenga skirt while Angad was seen in a matching sherwani. 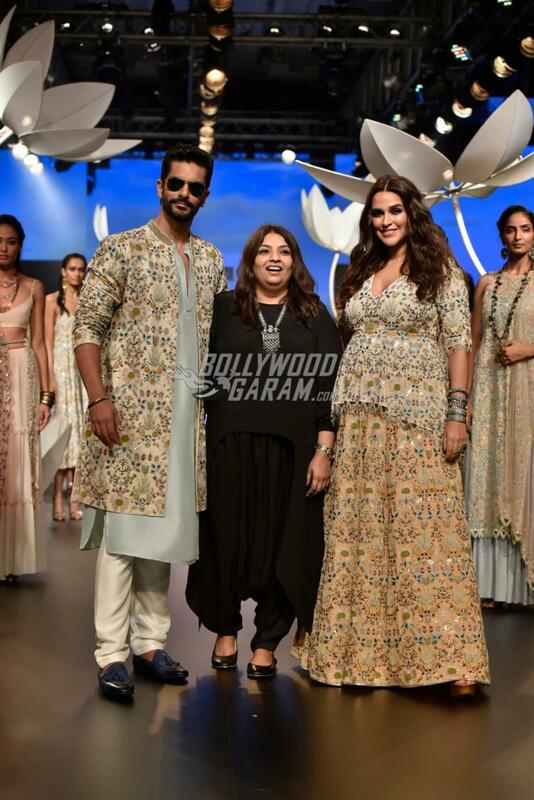 The couple looked adorable as they walked the ramp together and shared a great chemistry. 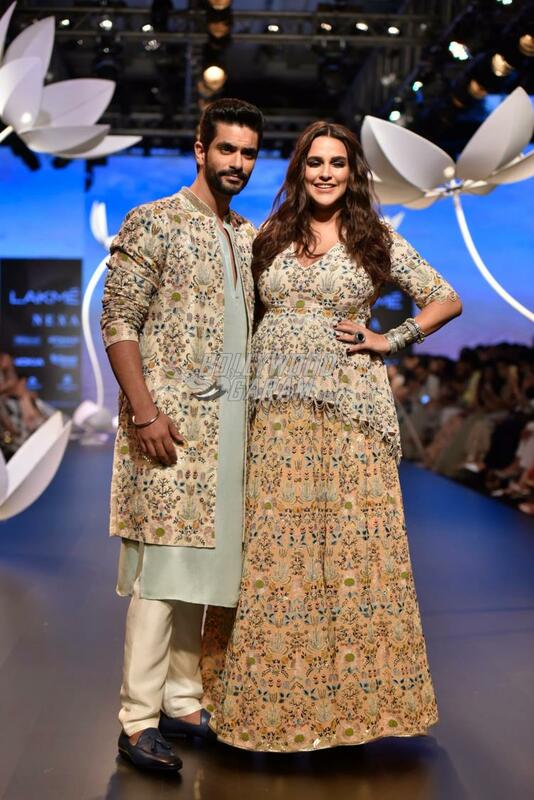 Neha and Angad had surprised their fans and friends when they announced about their wedding and soon after rumours started about Neha being pregnant. 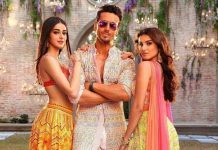 The actress remained tight lipped about the news but soon after the couple made an official announcement with some adorable pictures. The couple wrote, “Here’s to new beginnings … #3ofUs. #satnamwaheguru”. Neha and Angad got married in a very private traditional ceremony amidst family.